Pre-cook the pasta. Bring large pot of water to a boil. Salt the boiling water, then add pasta. In a separate small sauce pan soften goat cheese over low heat. Add parmigiano-reggiano cheese & other herbs if not already included in the goat cheese. 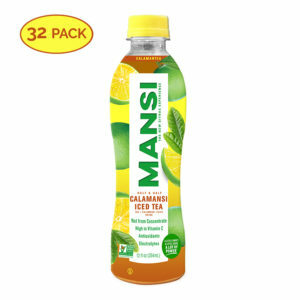 Add small amounts of MANSI™ Premium Calamansi Juice to help liquefy the mixture until it is smooth and saucy, not watery. Add salt and pepper to taste. Continuously whisk mixture to avoid any clumping and ensure smooth texture. Transfer mixture to a mixing bowl. When pasta is cooked al dente, drain it and add it to the mixing bowl with the Mansi-cheese sauce. Toss together. Add salt & pepper as needed. Garnish dish with parsley. Serve immediately. Calamansi juice gives this cream sauce a subtle but delighfully tangy accent.